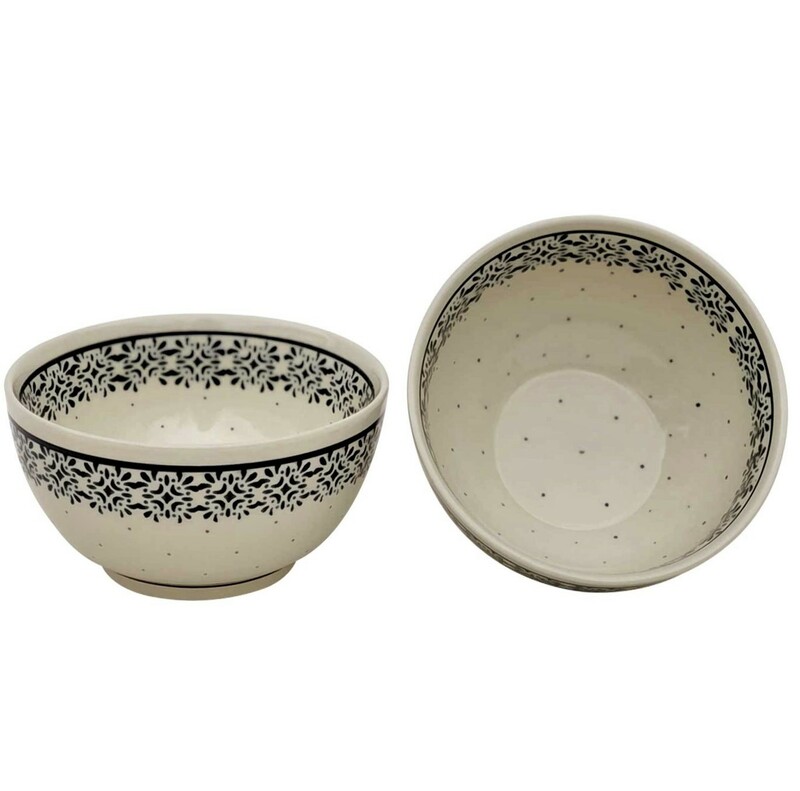 Serve fruits, salad, noodles, dips, and more in this Polish Pottery 2 cup cereal bowl. It is an elegant serving dish that showcases a beautiful ‘Trendy Times’ pattern on the internal and external borders and small dotted pattern all over. The light base and black design look gorgeous together! The white firing clay is free of harmful chemicals and promises durability. The patented glaze adds richness to its surface to prepare an ideal base for hand painting or brushwork. This polish stoneware is of premium quality and will look gorgeous on your table. You can transfer the leftover food in this pamper chef bowl and keep it in the fridge to maintain its freshness and directly put in your oven. The non-toxic paints will not chip at all due to exposure to different temperatures. Hand-Painted Polish Stoneware Folk Art - A Century-Old Tradition. In the small village of Boleslawiec, Poland, hundreds of skilled artisans have migrated to this region to produce wonderful works of art for our daily use in the kitchen and home. They continue the Polish folk art tradition of painting on vessels using the hand stamp technique. These pieces go way beyond just good looks. The unique glaze, clay and high firing temperatures result in cooking vessels of enormous durability. In fact, you can cut right on these pieces without marring the surface. The glaze allows food to release with little or no oil. The pottery retains both heat and cold for long periods of time, making them wonderful pieces for cooking and serving. Dishwasher, oven and microwave safe. This 5 cup casserole with lid will inspire many beautifully prepared recipes while adorning your table with wild flowers and leaves depicting a European landscape.